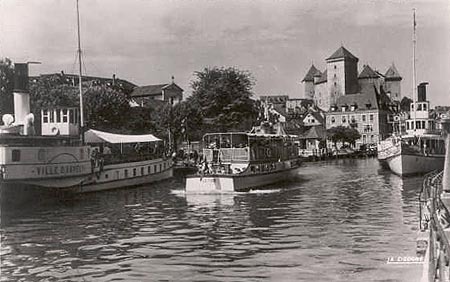 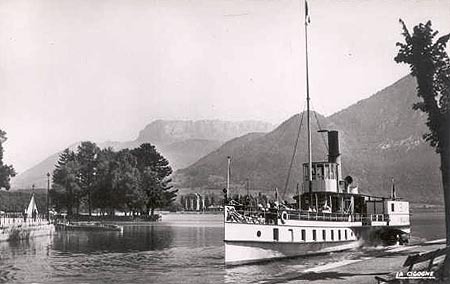 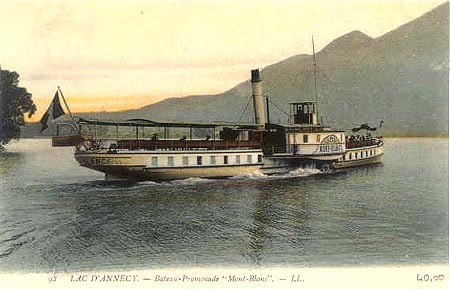 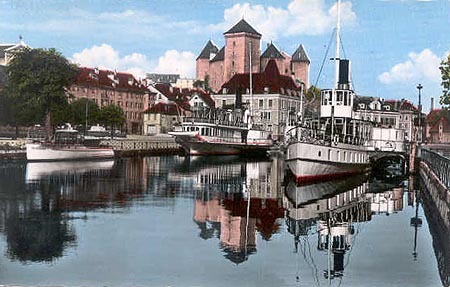 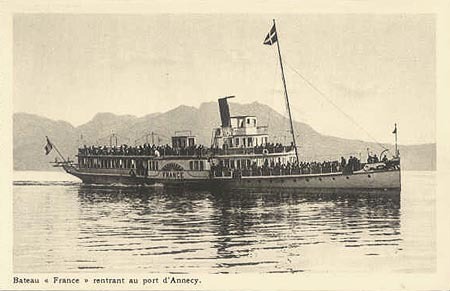 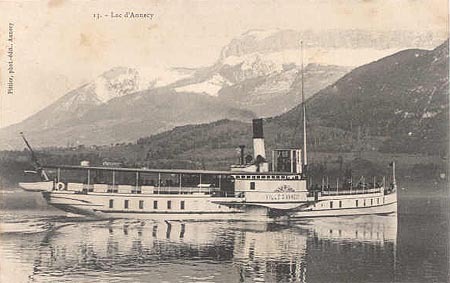 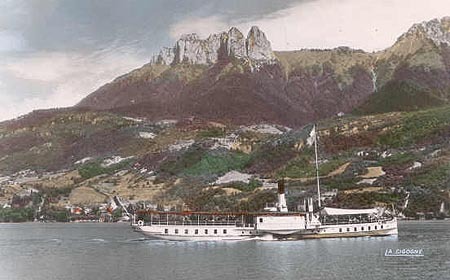 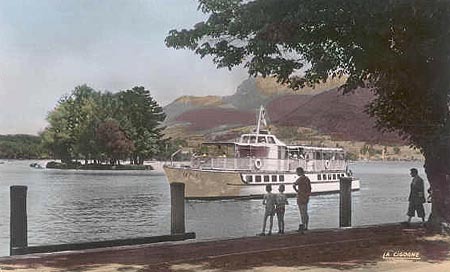 This page is devoted to postcards and photographs of the steamers and motor vessels of the French Lac d'Annecy, which is close to Lake Geneva. 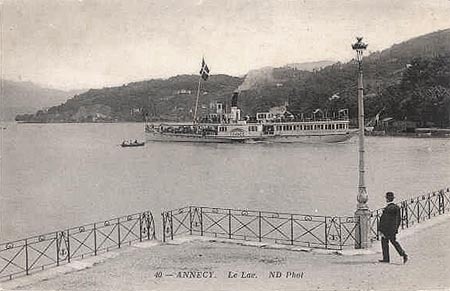 Ville d'Annecy (left) and France (right) at Annecy. 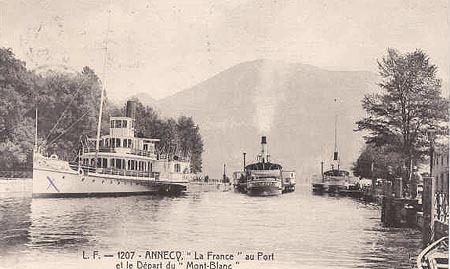 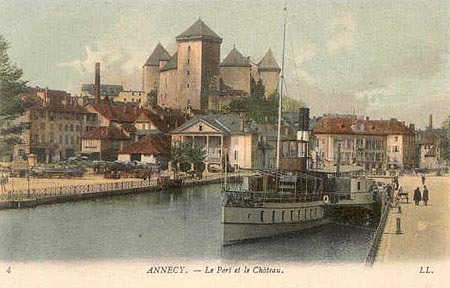 Ville d'Annecy (right) and France (centre) at Annecy. 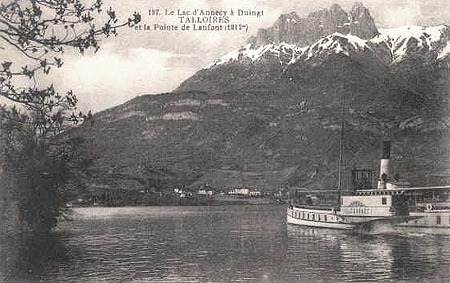 Ville d'Annecy (right), Mont Blanc (centre) and France (left) at Annecy. 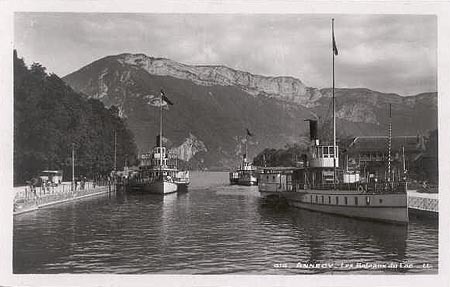 France (right), Mont Blanc (leaving - centre) and Ville d'Annecy (right) at Annecy.